The Seine River flows through the heart of Paris before weaving its way to the North Sea, passing through some of northern France’s most charming and historically-significant landscapes. Cruising this serene waterway between Paris and Honfleur reveals towns and cities steeped in history and culture — from Rouen with its breath-taking cathedral and links to Joan of Arc, to Les Andelys and Château Gaillard, the former home of Richard the Lionheart. It’s here, in the countryside surrounding Vernon, where you can trace the legacy of the Battle of the Somme, as well the tumultuous D-Day landings of Normandy. As the start and end point of the itinerary, Paris is the obvious highlight of the trip, and you’ll have plenty of time to explore the iconic highlights of the city of light. 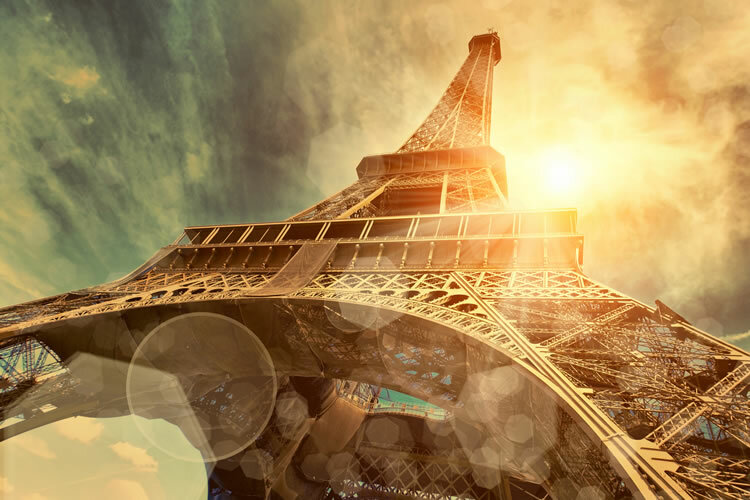 Choose from a selection of ways to travel to Paris. Pick from one of up to 14 UK regional airports or travel direct from London Heathrow to Paris. If you'd prefer not to fly, why not take advantage of our Eurostar No Fly option at no extra cost? Travel Standard Premier Class aboard the Eurostar from St. Pancras International to Paris Gare du Nord. Enjoy the opulent amenities of your floating hotel as she glides her way peacefully through the Île-de-France region to Les Andelys. Hike to King Richard the Lionheart’s Château Gaillard, or journey to Lyons la Forêt, one of the most beautiful villages of France, and visit Fleury-la-Forêt Castle. Sample cider, the region’s specialty, after touring this exquisite example of 17th century architecture. For nature lovers, walk the forested paths of the beautiful L’Arboretum de Lyons nature reserve, celebrating the diversity of flora. This morning we wake in Rouen. Enjoy a walking tour of Rouen that takes in the famous sites of Joan of Arc and the historic Rouen Cathedral. Or, if you’d prefer, enjoy a cooking demonstration and tasting and learn exactly why French baking and patisseries are so world renowned. This region is also the gateway to the historic Western Front, and you’re able to gain fascinating insights into the Somme battlefields with an on board lecture from a local expert. It’s a great opportunity as you’ll be visiting the sites tomorrow. Experience what the Somme battlefields might have been like for those caught up in this terrible World War I battle, which claimed the lives of more than 150,000 British and Commonwealth soldiers. This full-day excursion commemorates the 101 years since, and includes a visit to the Australian National Memorial and Victoria School in Villers-Bretonneux. Alternatively, explore the collection of Impressionistic paintings, including masterpieces by Renoir and Monet, at the Museum of Fine Arts, which was founded by Napoleon Bonaparte. You’ll love cruising toward the open waters of the English Channel, so simply sit back and enjoy the trip. Later, take the opportunity to explore Honfleur, with its quaint architecture, its relaxed coastal atmosphere and the many colourful fishing boats bobbing up and down on its waters. Alternatively, immerse yourself in the beautiful la Cote Fleurie region on France’s northern beaches, and discover dashing Deauville, playground of the rich and famous. The estate of Manoir d’Appreval exclusively welcomes Scenic guests for a unique cocktail event showcasing their prestigious apple spirits in a setting you’ll remember fondly for many years to come. Celebrate your visit to the picturesque Calvados region with a beverage of the same name, and let your eyes drink in the surrounding beauty, from the many flowering apple trees to the blue waters of the English Channel in the distance. Later, back on board, kick up your heels on the dance-floor as a fabulous local swing band performs the best of the 1920s in the Panorama Lounge. What a wonderful day. Walk the historic Normandy beaches, the site of the D-Day landings, before visiting the Landing Museum at Arromanches. You’ll be struck by the sombre ambience surrounding the 9,387 graves of the Normandy Cemetery and whilst there, take a moment to reflect on the momentous impact of that day, as you look out from your hilltop position above Omaha Beach. Alternatively, explore Normandy’s famous Calvados Route, and delight in the many charming villages that dot the landscape. It’s also a great opportunity to sample the region’s famous varietals. With steep limestone cliffs that plunge dramatically towards the emerald waters of the English Channel below, the beauty of the Alabaster Coast will leave you breathless. Sitting proudly atop this dramatic seascape is the town of Etretat, where you’ll have the opportunity to enjoy a guided tour and time at leisure. Alternatively, travel to the hilltop village of Bolbec and view fabrics at the fascinating Textile Museum before visiting the Normand Traditions Museum nearby. Or visit the new Seine Museum for an insight into this fascinating river system. For the more adventurous, join a guided cycling tour to the charming village of Villequier and visit the Victor Hugo Museum.Be treated to a truly unforgettable experience in Fécamp this evening. Situated in spectacular surrounds, the city’s natural setting contrasts perfectly with its architectural centrepiece, the Benedictine Palace. Experience the opulence and grandeur of yesteryear when you dine exclusively within Abbots Hall whilst enjoying a live classical concert performed by the region’s most reputable musicians. This romantic Renaissance palace is so special that you’ll be sure to have fond memories of the experience for a very long time. In a region rich in visual treasures, enjoy a full morning of relaxation and take in the incredible scenery as you cruise into Vernon. It’s easy to understand why this region of France inspired beautiful paintings by many of history’s most famous artists.Visit Giverny and Monet’s former residence and gardens. If you’re feeling more adventurous you can explore by bike, with a self-guided cycling tour that starts at Vernon. You can also discover Vernon with Scenic Tailormade at your own pace. This morning we cruise to the charming medieval town of Conflans, with its distinctive barge houses docked within easy reach of the quaint main square. Discover the charms of Auvers-sur-Oise and get to see Vincent van Gogh’s room, or step inside the magnificent Chantilly Castle for a guided tour of this remarkable château, set amidst beautiful parklands.After a leisurely afternoon of cruising, the evening will see us returning to Paris, the ‘city of light’, and you’ll have the chance to view the beautiful illuminated skyline, and the soaring Eiffel Tower. Make sure you have your cameras ready. Today you have the thrilling choice of either spending time exploring France’s most celebrated city, or a discovery beyond the city limits.Shop with a Chef when you visit one of Paris’s local food markets, and enjoy exquisite tastings, or walk the city with a resident expert and hear tales that only the locals know. Alternatively, you may wish to explore beyond Paris and tour the 17th century estate of Vicomte Palace, Louis XIV’s inspiration for Versailles Palace. Featured in the James Bond movie Moonraker, the Palace of Vicomte has been leaving visitors in awe of its magnificence for centuries.With remarkable attractions at every turn, you’ll have a chance to explore Paris at leisure this afternoon and create your own unique memories. After breakfast, transfer to Paris airport or train station for your return journey home. Fly direct to London Heathrow or one of up to 14 UK regional airports. Alternatively, travel Standard Premier Class from Paris Gare du Nord aboard Eurostar to St. Pancras International.